FIND OUT WHAT YOUR HOME IS WORTH INSTANTLY! Located in the Point Loma community is the beautiful beach front neighborhood called La Playa. You can find many La Playa houses for sale in beach front property magazines. The average priced home for sale in La Playa as of April 5th, 2013 is $2,700,000 and has view of Downtown San Diego and the San Diego Bay. This upscale community is bordered by the San Diego Bay to the east, the Naval Base Point Loma to the south and Point Loma Village to the north. La Playa is directly across the channel from Shelter Island. 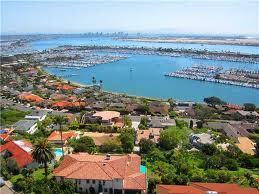 As a point of reference, Point Loma separates San Diego Bay from the Pacific Ocean along with the Coronado Peninsula. La Playa is full of residents who enjoy the seaside community life. It’s an appealing area due to the serenity of the neighborhoods and bay side feel. La Playa provides a quiet atmosphere for those residents who are looking to get an escape from the city and their busy work days. With pride in their homes, La Playa residences are well-kept with manicured lawns and gardens. It’s common to find residents walking around day and night, either in their neighborhoods or walking on paths alongside the beach. The La Playa neighborhood itself houses some of the most expensive homes in La Jolla. Home prices range from $800,000 to $7,000,000. Some of the upscale houses even come with private docks for their boats. There are two yacht clubs in this community: San Diego Yacht Club and the Southwestern Yacht Club. La Playa is located only 20 minutes from Del Cerro, the Gaslamp District, Little Italy and the International Airport. Balboa Park, with its many diverse museums and the world famous San Diego Zoo, are also in close proximity to La Playa. If you desire a beach front community, upscales homes with private docks, or you just want to live in Point Loma, La Playa has a lot to offer. Check out some of the La Playa houses below.